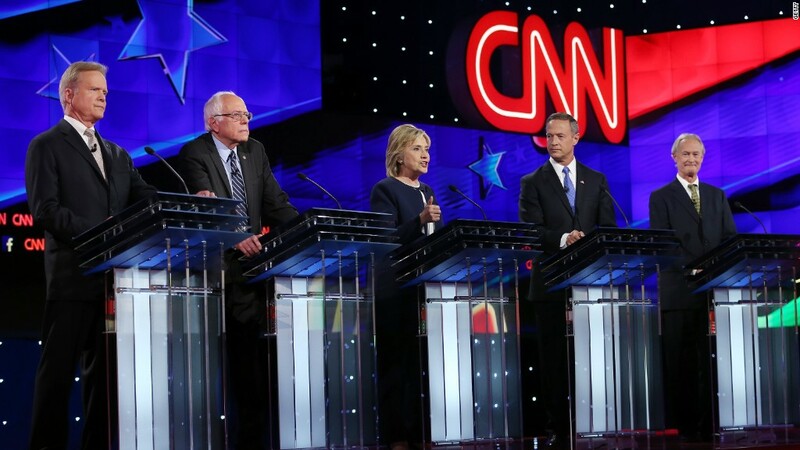 CNN's Tuesday night debate averaged 15.3 million viewers, easily making it the highest-rated Democratic debate ever. Primary debates at this point in past election cycles have averaged 2 to 5 million viewers. But there's something special about this election -- something that has a lot more viewers paying attention. Heading into Tuesday night, there was unanimous agreement that the total audience would be lower than the 25 million who tuned in for Fox's Republican debate on August 6. That debate -- fueled by Donald Trump -- shattered all previous primary debate records. The Republican rematch on CNN September 16 averaged more than 23 million viewers, essentially confirming that the GOP debates are the highest-rated new "show" of the fall TV season. CNN executives expected the ratings would be far lower on Tuesday night. They cautioned ahead of time that Republican and Democratic debates were "apples and oranges." So the 15.3 million total far exceeded expectations, even though it was much lower than the GOP face-offs. For comparison's sake, the previous Democratic debate record was set in 2008, when Clinton and Barack Obama squared off in prime time on ABC. That debate had 10.7 million viewers, and it came at the end of a hard-fought campaign season. So there was clearly a surprising surge of interest in Clinton, Bernie Sanders, Martin O'Malley, Lincoln Chafee and Jim Webb's first time together on stage. The Trump "halo effect:" Trump's presence in the presidential field has created more interest in both the Republican and Democratic primaries. Viewers were curious to see how often Trump would be attacked by the candidates. Hillary is a star: Maybe media types underestimate how much of a draw Clinton is. She is a bona fide celebrity, a historic figure and a candidate attempting a comeback after losing to Obama in 2008. Bernie has a very loyal fan base: When Sanders speaks, his supporters listen. Tuesday night was his biggest time on a national stage yet, and supporters made sure to be there. Facebook lift: Facebook was CNN's partner for the debate, which was held in Las Vegas. Promotional content on the hugely popular social network may have drawn viewers to turn on CNN. Marketing and programming prowess: CNN ended its GOP debate with a promo for its Democratic one. Debate ads were in heavy rotation on the network weeks before the actual event. And there was wall-to-wall "pre-game" coverage in the 36 hours before the debate. CNN's Internet streaming data during the debate also demonstrated a lot of curiosity about the first Democratic forum of the season. On top of the TV ratings, the network's live stream peaked at 980,000 concurrent live streams around 10:20 pm ET, a CNN spokesman said. That means nearly one million homes were watching simultaneously, surpassing the totals for Trump and Co. The network's GOP debate on September 16 had peaked with 921,000 concurrent streams. The #DemDebate hashtag also trended atop Twitter and Facebook's leaderboards throughout the evening.